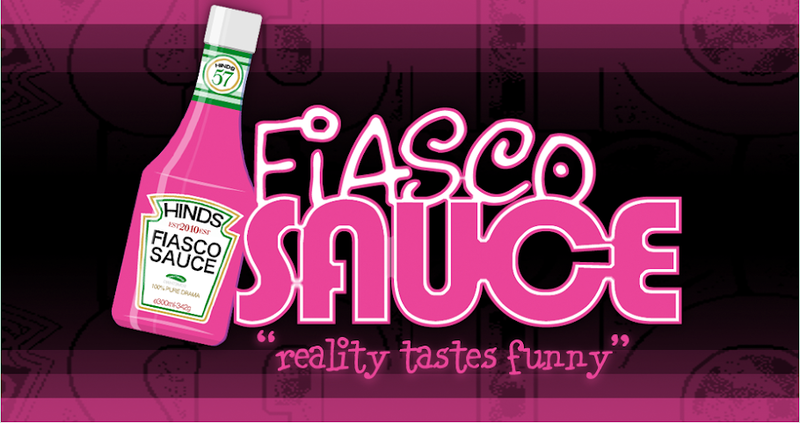 Fiasco Sauce: Jersey Shore "Situation Problems"
I'm ending my blogging on the "Jersey Shore" after this season ... one more show to watch. Hopefully, I will be able to keep up with my blogging with fewer shows and the reality TV that I continue to find interesting. I no longer find these Peter Pan wannabes interesting. The Jersey Shore gang needs to grow up. I'm not going to encourage the continuation of this show by blogging about it anymore ... But to be fair, they have entertained me. They are so far from me and from my life ... that it's been an education. I hope they are the exception and not the rule. My children (who are 21 and 18) say they do not know anybody who behaves the way the Jersey gang behaves, so I take that as a good sign. Having said that, I will give Jenni credit. I follow her on Twitter. I think she is the only one who has actually grown up. I would never have believed it by watching the first few seasons. But I think love has changed her. I'm glad for her. Back to the show. Surprise Surprise. Jionni doesn't like Snooki sleeping with other guys! I think he's OK with other girls after the Deena escapades. He seems to want to break up with her. She's crying. I can't tell if they are a couple or not. Deena, ugh, wants to sleep with Pauly D. He shows his smarts by dodging her at every turn and twist. This guy wants no part of that. So, while they are at the club, he's desperately trying to find a girl to bring home. He strikes out. Thank goodness, Deena and Snooki aren't ready to go home with the rest of the gang so Pauly D doesn't have to sleep with his eyes wide open. Deena and Snooki head to another club where they are harassed and even THE BARTENDER wants them gone. He throws ice at them, so they rip apart his bar. Out they go. Sam and Jenni are getting along great and Deena and Snooki are drinking along great. After a sleepless night, they head out drinking again in the morning and fall asleep in a bar. Out they go. Mike keeps causing problems because he is a drama queen. He angers people at every bar he goes to, tries to start fights between the roommates, and is just being a pain in everyone's tanned rears. The group makes it clear that they don't care if comes to Jersey for next season. I hope not. Someone younger! They have their last Sunday dinner with Jenni and Sam cooking. There's a little arguing ALREADY about the Jersey shore house because no one wants to share a room with Mike. Vinnie thinks he should get what he wants. Sam wants some "compromisation." I think I know what she meant. We'll see. One more episode. Sorry I'm behind.